Today, I’m up on Maja Design blog with a new set of cards: Just for her, Just for him. Just for them. I’ve worked with the Vintage Summer Basics collection. Yellow-orange and burgundy for her, aqua for him. I cut a few papers that I glued together. I die-cut the smallest to add some interest. I glued some sisal and splattered the card with a mix of glitter, gel medium, and water. I die-cut a few leaves in a watercolor paper that I colored with Twinkling H2Os as well as the chipboards. 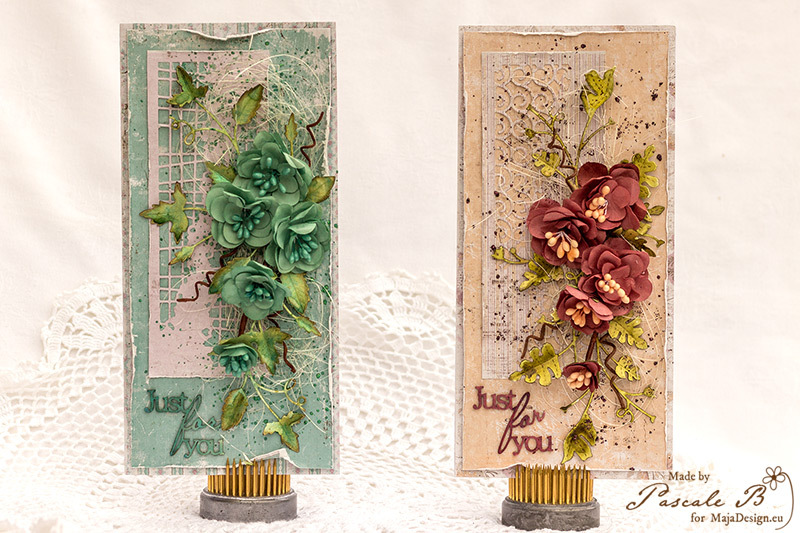 Both cards are very very beautiful, and I just love both these cards here, but it´s also a really gorgeous collection, you´ve used for these, and such amazing colors especially for these cards here. Beautiful decor, even it´s kept simple, it still scream elegance all over it. Really stunning work. 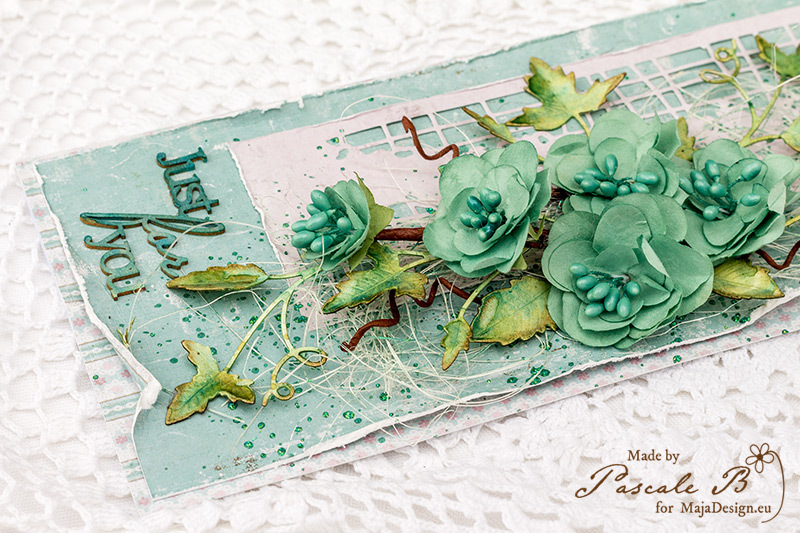 Pascale these cards are looking so beautiful. I like the arrangement of papers, flowers and color scheme. Fantastic design. Gorgeous cards. 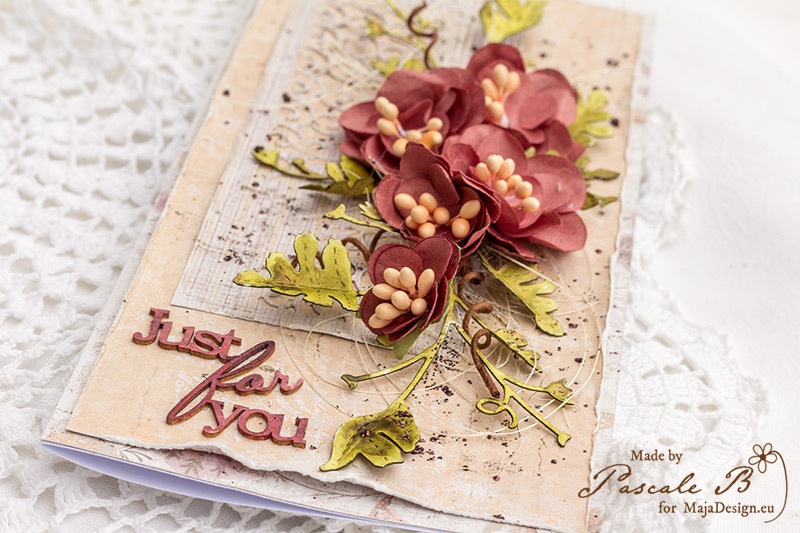 Love the combinations of paper dies and beautiful colors.